The ARMA Standards of Care documents have been written by health professional and patients for healthcare professionals and patients, and act as a guide outlining the standards of care that people living with musculoskeletal conditions can expect to receive throughout the health service. 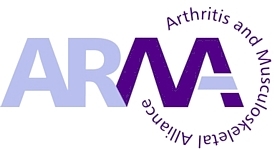 As part of ARMA’s Standards of Care project, a group of people with a range of musculoskeletal conditions has come together to identify what needs to happen in health services to enable them to minimise the pain and disability of arthritis, and to help people remain independent. They have suggested reasonable expectations of care and services for all people with musculoskeletal conditions. Read the Overarching Principles of our Standards of Care below. Click above to open the gout document, or right-click to save. Gout is one of the few “curable” types of arthritis. Lowering uric acid levels, by changing life-styles and using medications such as allopurinol, prevents the formation of new sodium urate crystals and causes existing crystals to dissolve, which stop attacks of gout from occurring and leads to tophi reducing in size and eventually disappearing. However, recent research studies show that gout is often poorly treated. Patients infrequently receive advice to restrict consumption of alcoholic drinks or purine-rich foods or to keep their weight down. 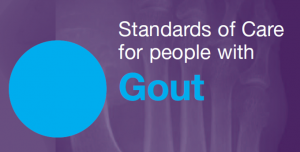 Standards of care for gout are therefore needed to make both practitioners and patients aware of the importance of gout and the impact it has on patients’ lives and how this curable arthritis should best be treated. Click above to open the Back Pain document, or right-click to save. These Standards of Care focus on ‘simple’ or ‘mechanical’ back pain. Unsurprisingly, back pain has a massive economic impact. It is the second commonest cause of long-term sickness absence for much of the UK, and the commonest for people in manual occupations. Persistent back pain (ie pain which has lasted for more than three months or has been present on more than half the days of the previous year), in particular, has a serious impact on people’s lives. It frequently reduces people’s quality of life and adversely affects their family and social relationships. Back pain can also impact on a person’s ability to work, and compromise their earning capacity. Moreover, the longer someone is absent from work with back pain, the poorer their chances are of returning. Click above to open the Inflammatory Arthritis document, or right-click to save. Inflammatory arthritis is the term used to describe a range of conditions, including rheumatoid arthritis, ankylosing spondylitis, psoriatic arthritis and juvenile idiopathic arthritis (JIA). These are autoimmune diseases, in which the body’s immune system attacks the joints and causes them to become inflamed. Inflammatory arthritis can affect almost any joint: often the hands and feet, and also knees, shoulders, elbows, hips, the neck and other joints. It can also affect other parts of the body. It is not known exactly what causes a person to develop inflammatory arthritis. Various factors may be relevant, including the environment, infection, trauma and a person’s genetic make-up. There are other risk factors that increase the risk of developing rheumatoid arthritis, such as smoking, obesity and prior blood transfusion. Osteoarthritis is the commonest form of arthritis. It affects mainly the knee, hip, hand, spine and less often, the feet. It is characterised by joint damage and joint failure, as the process of the disease causes damage to cartilage and the growth of new bone in affected joints, causing stiffness and pain. The connective tissue diseases are a group of conditions characterised by multi-organ inflammation and autoimmunity. They are generally considered to be uncommon, but are lifelong conditions with significant impact on a person’s health and daily life. When acutely active, such conditions can be life threatening and may require immediate access to specialist services to prevent multi-system damage. Symptoms vary depending on the disease, but many share the common symptoms of joint aches and pains, fatigue, muscle pain and weakness, rashes, skin changes and inflammatory changes in different organ systems. Metabolic Bone Disease is the term used to describe a range of conditions, including, Osteoporosis, Paget’s disease, Osteomalacia and Osteogenesis Imperfecta, otherwise known as brittle bone disease. These are all diseases which cause bones to become fragile and break without too much force. Common fracture sites are the wrist, hip and vertebrae but fractures may occur throughout the skeleton. Metabolic Bone Disease may be caused by genetic factors or lifestyle and can also be secondary to other problems, for example corticosteroid use. For some people there will be no obvious cause. There are other risk factors that increase the risk of osteoporosis and fractures, such as increasing age fallsand previous fracture. Musculoskeletal conditions are the single biggest cause of physical disability in the UK, and regional musculoskeletal pain constitutes an important component of this. People with persistent or recurring regional musculoskeletal pain can have their lives significantly affected by their condition. It can reduce their quality of life, impacting on family and social relationships and limiting their capacity to work. Furthermore, the longer someone is absent from work with musculoskeletal condition, the poorer their chances are of returning. Regional musculoskeletal pain can be defined as pain of short or long duration, localised to one body region, such as wrist, arm or knee. In these Standards regional musculoskeletal pain is distinguished from widespread pain, particularly chronic widespread pain which includes fibromyalgia. The purpose of this standards document is to provide a benchmark by which foot health service standards may be evaluated by all stakeholders. A series of standard statements are presented that encompass the entirety of musculoskeletal foot health service provision supported by evidence-based justification and suggestions for foot health service configuration and implementation. These standards have been arrived at by consultation and consensus of the UK musculoskeletal, foot health and service user community. These statements describe specific standards, the achievement of which will result in services that genuinely meet the varied needs of the musculoskeletal community. The standards are directed toward all those involved in planning, delivering and receiving foot care and provide clarification of roles and responsibilities. Best practice examples are provided throughout to illustrate how these standards may be put into practice. There are several different subtypes of Juvenile Idiopathic Arthritis (IA), each of which is characterised by a specific set of features. Regardless of the subtype they have, all children with JIA develop chronic arthritis, the symptoms of which are stiff, painful and swollen joints. The severity of the arthritis can vary from mild to extremely disabling. Depending on which joints are affected, difficulties can be experienced in all areas of their lives. In young children physical development can be significantly delayed. If inadequately controlled, the arthritis can lead to permanent joint damage and deformity. JIA is also associated with a number of complications unrelated to the joints, some of which can be more problematic for the child or young person than the arthritis itself. In addition to the physical problems caused by JIA, the disease can also affect the child or young person’s emotional well-being, social development and educational attainment. Difficulties in these areas can be experienced at any age but often become more apparent during adolescence. access to ongoing and responsive treatment and support. These Standards aim to bring together existing evidence and best practice approaches to set out a framework for services which really meets the needs of the many people living with arthritis and musculoskeletal conditions. We hope the Standards will act as a tool for all stakeholders – service users, providers, commissioners and policy-makers – to work together to review and improve their local musculoskeletal services.